This article by Stuart King from 1986 sets out a principled position on the AIUF which became the basis for the programmatic position of Workers Power and its International, currently the League for the Fifth International. However when faced with the necessity to adopt the politics of the line in practice in opposition to the prevailing class prejudices in Imperialist Britain promoted and developed by the mass media and so deeply lodged in the middle classes they always failed the test, over the East Europe and the USSR in 1989-91, and then the Balkans. The glaring example of Libya, where a principled document on this very issue was penned in December 2010 and abandoned totally in practice in February 2011 over Libya. Stuart King, no a leader of the Permanent Revolution group was forced to acknowledge he no longer defended this article when challenged by me in mid 2011 and he now though Dino Albini (who came from the Spart tradition if international Trotskyism) was correct back them. Workers Power have not had the courage and honesty to admit this obvious truth forced out of King in a acrimonious exchange. The article by Dino Albani on the Anti-Imperialist United Front (AIUF) in International Trotskyist Correspondence No.1 falls into a number of errors both of historical accuracy and of political method. At the root of these errors lies an incorrect understanding of the nature and purpose of the united front tactic, especially in relation to the semi-colonial world. The comrade states the AIUF tactic was “formally adopted for the first time by the CI (Communist International or Com intern – WP) at its Fourth World Congress”. While it is true that this is the first time the particular term is used, the Fourth Congress was especially concerned with the United Front; it is incorrect to imply, 2S the article does, that this was somehow a ‘new’ political position of the Com intern. In its fundamentals the AIUF tactic was adopted at the Second World Congress on the basis of theses drafted and amended by Lenin. To try and make a political distinction between the theses as adopted at the Second Congress and those passed at the Fourth might save the author the embarrassment of attacking Lenin’s political positions, but makes no sense given the clear continuity of political method between the two sets of theses. In discussion in the commission, particularly with M N Roy, it was agreed to replace “bourgeois-democratic” with “national-revolutionary” throughout. It was felt that the term bourgeois-democratic blurred the distinction between reformist movements, which sought desperately to compromise with imperialism and were restricting the struggle, and movements which were in open struggle with the imperialists, even though they were led by the bourgeois or petit-bourgeois nationalists (of which today the FSLN in Nicaragua and FMLN in EI Salvador are good examples). For the Second Congress therefore there were two important conditions for the possibility of an alliance with the bourgeois nationalists: (i) that they were actually leading a struggle against imperialism, and (ii) that they placed no restrictions on the communists organising the workers and peasants in a revolutionary way against the imperialists. Lenin clearly disagreed with Roy’s basic approach to the nationalist movements in the semi-colonies. Roy underestimated the possibilities of the Indian bourgeoisie being pushed into leading militant actions against imperialism in defence of its own interests. To bolster his arguments he dramatically underestimated the degree of influence that the nationalists had over I the masses. As in other cases this apparently ‘left’, in fact sectarian, approach to the united front soon turned into its opposite. By the mid 1920s, seeing the Indian National Congress under Ghandi leading mass struggles, Roy was declaring the need to turn it into a ‘People’s Party’ along the lines of the Kuomintang. “In general national liberation action undertaken by the bourgeois-democratic groups is not revolutionary action even if it adopts the methods of insurrection. Even in the backward countries the class struggle can only proceed if the independence of the working class is preserved from all its exploiters, even from the. bourgeois democrats who call themselves ‘revolutionary nationalists’. Neither Serrati, nor Roy at this time, saw the use of the united front tactic in helping to break the influence of the bourgeois nationalists over the mass movement. Unfortunately, the positions as argued by comrade Albani of the GOR stand closer to the erroneous positions of Serrati and Roy than they do to Lenin and the revolutionary Comintern on this question. We have already shown that this policy was initiated not by Zinoviev but by Lenin at the Second Congress. Further it is inconceivable that the proposed theses for the Fourth Congress were not discussed and agreed by the leadership of the Russian Communist Party including Lenin and Trotsky – so why imply they were somehow the product of Zinoviev? Is the comrade saying Trotsky disagreed with these theses – clearly that was not the case. “The proletariat supports and itself puts forward partial demands, for example the demand for an independent democratic republic, for abolishing the unequal legal status of women, etc, in so far as the existing relation of forces does not allow it to make the realisation of its soviet programme the immediate task.!’? A theme continued from the Second Congress where Lenin said it was “incorrect to assume a capitalist stage of development is necessary for such peoples (of the East)”. 9 Both formulations are a far cry from the real stage-ism introduced later into the CI by Stalin and Bukharin. Neither is there any evidence for the argument that the “achievement of national independence” was equated by the theses with “the national-democratic revolution”. The theses specifically point out that “even in independent Turkey the working class does not enjoy freedom of association”. They call on the communist parties in the colonies and semi-colonies (i.e. where national ‘independence’ was granted to call on the masses “to struggle for national liberation”. “progressive-in-itself character of a task like national independence for the nature and role of the class which at least on paper was mainly interested in achieving it”. Far from having “childish expectations” the CI issued clear warnings from both Second and Fourth Congresses as to the vacillating and compromising nature of the bourgeois nationalists. “We have to develop our parties in these countries in order to take the lead in the organisation of the united front against imperialism. Just as the tactics of the united, proletarian front lead to the accumulation of proletarian strength in the Western countries and unmasks and discloses the treachery and compromising tactics of the Social-Democratic Party by bringing them into active conflict, so will the campaign of the united anti-imperialist front in the colonial countries liberate the leadership of the movement from the timid and hesitating bourgeoisie and bring the masses more actively in the forefront, through the most revolutionary social elements, which constitute the basis of the movement, thereby securing the final victory.” 11 . Here Roy puts his finger on the vital importance of the united front tactic which unfortunately the GOR ignore. It is a method of breaking the political hold of the nationalists over the masses. By fighting alongside and in these movements against imperialism, in temporary united fronts around concrete and specific demands and actions, the communists can expose, in struggle, the vacillating and treacherous leadership of the movement, winning the workers and peasants to their side. By abandoning this tactic the GOR would abandon this vital method of communist work. While we have shown that the development of the AIUF tactic up to 1922 was not informed by the class collaborationist method of the ‘Popular Front’ which comrade Albani implies, we do not say the Communist International had developed a fully rounded communist strategy and set of tactics for the colonial and semi-colonial world. Its perspectives for the revolutionary struggles in that arena remained flawed by its, failure to generalise the lessons of the Russian Revolution with regard to the theory of Permanent Revolution. This should come as no surprise since even the author of this theory, Leon Trotsky, did not think this perspective was applicable to the colonial countries, and did not raise it as an operative guide for revolutionary strategy between 1917 and 1927. “It is self-understood that the colonies – Asia, Africa. . .if taken independently and isolatedly, are absolutely not ready for the proletarian revolution. The growth and influence of communist ideas, the emancipation of the toiling masses of the colonies, the weakening of the influence of the nationalist parties can be assured not only by, and not so much by the role of the native communist nuclei as by the revolutionary proletariat of the metropolitan centres for the emancipation of the colonies.”12. While such a perspective, as we have shown, did not lead to an opportunist application of the united front tactic, its inadequacy as a guide to revolutionary action was to play into the hands of the Stalin faction, who used it as a justification for tying the proletariat to the programme of the bourgeois and petit-bourgeois nationalists. Nowhere was this more disastrous for the proletariat than in China. In his enthusiasm to blame the Chinese debacle on the Anti imperialist United Front tactic, developed between 1920 and 1922 by the CI, comrade Albani succeeds only in virtually absolving the Stalin faction from responsibility for this tragedy. It is revealing for instance that the Stalin/Bukharin “bloc of four classes” against imperialism is not deemed worthy of a mention in his account of the failure of the Chinese revolution. This is not seen as important precisely because the GOR’s position leads them to see the direction of the Chinese Communist Party between 1923 and 1927 as reflecting not a break with the revolutionary tradition of the Com intern but a continuity. Indeed between 1926 and 1928 Trotsky and the Left Opposition were in a political bloc with Zinoviev, the person, who according to comrade Albani was responsible for the ‘Popular Front’ line in China. Had Trotsky become an opportunist? Or had Zinoviev changed his position? Neither was the case. Trotsky and Zinoviev were able to bloc on the China question because the line of Bukharin/Stalin represented a fundamental break with the method of the Anti-Imperialist United Front developed by the CI between 1920 and 1922, not a continuation of it. This does not mean that the CI committed no mistakes in implementing the united front in the colonial world; it did, as it did in the West. These mistakes could have been corrected, the experience refining the use of the tactic, had the CI not succumbed to bureaucratic centrist leadership first under Zinoviev (1924-26), then more dramatically under Bukharin. The Chinese party was the first to feel these mistakes. The Chinese delegates to the Second Congress put more emphasis on entering the KMT to split the masses from its bourgeois leadership rather than pushing the party left wards. The question as to whether the young CCP should have entered the KMT within a year of its foundation was a tactical question. The decision was obviously influenced by the enormous advantages of being within a very amorphous and unformed nationalist movement which was drawing in large numbers of workers, intellectuals and even peasants following the mass upsurge against imperialism of the May 4th movement. While it seems that Trotsky’ opposed the entry in the case of China he did not reject such a tactic in principle. While the form of the united front with the KMT was a tactical question its nature was not. Both the Second and Fourth Congresses had been absolutely clear that within the united front the political independence of the proletarian movement had to be safeguarded at all costs. Certainly this would have made the united front more difficult to achieve and necessarily more episodic, restricted to specific issues. This was not how the Executive Committee of the Communist International (ECCI) came to view the tactic. Of course ‘avoiding any conflict’ with the bourgeois-nationalist KMT was impossible if the CCP was to defend the interests of the working class or even lead an intransigent and uncompromising struggle against the imperialists as the KMT leadership consistently sought compromises with US and British imperialism. Under the direction of Michael Borodin, who came to China in the Autumn of 1923 not as a CI delegate but as an advisor to the KMT responsible to the politburo of the CPSU, the strictures to maintain political independence were quickly forgotten. Far from using the united front to win over the masses in the rank and file of the KMT to the communist party, Borodin set about subordinating the CCP and its policies to what was acceptable to the KMT leadership. By 1925/26 Borodin was arguing against radical agrarian reforms which involved “confiscation of private property” in view of the “mixed class composition” of the KMT. The KMT was itself re organised and armed by the Soviet emissaries. Borodin himself drafted a new programme for the KMT, and it was organised along “democratic centralist” lines. Far from aiming to split the KMT, new life was breathed into the party. It now carried the open approval of Russian revolutionaries as the leader of the Chinese anti-imperialist struggle. The tactic being pursued in China was no longer the Anti-Imperialist United Front – a temporary alliance of the Communist party and the bourgeois nationalists. To justify the political subordination of the CCP to the KMT, this party was no longer classified as a “bourgeois-nationalist” party but declared a “Workers and Peasants Party”. From 1924 the CPSU leadership, including Zinoviev, argued that such parties could lead the anti-imperialist struggles and that the CPs should actively form them. 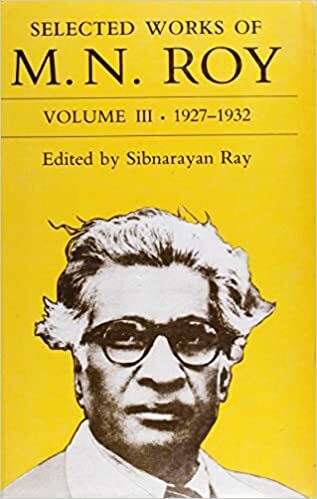 In India from 1924, M N Roy advocated the formation of such a “Peoples Party” within Congress, first alongside the CP and later (1926) as an alternative to it. By 1926 the “Workers and Peasants parties” had become a bloc of four classes, parties of the “workers, peasants, intellectuals and urban democracy” (i.e. the bourgeoisie). The Bukharin/Stalin faction had turned the united front into a real ‘Popular Front’ subordinating the working class to the programme of the bourgeois nationalists. Trotsky opposed this policy not because he opposed the Anti-Imperialist United Front, but because he opposed the opportunist perversion of it by the centrists. Again comrade Albani is wrong when he implies that after the Chinese events Trotsky abandoned the Anti-Imperialist United Front tactic. Certainly the slogan was not used, and it is little wonder given that the meaning that the CI had just given it in the Chinese events was the sub-ordination of the working class to the bourgeoisie, i.e. class collaboration. But the tactic and possibility of a united front with nationalists, of both bourgeois and petit-bourgeois variety, in struggle against imperialism, that Trotsky never abandoned. Clearly here Trotsky does not limit the united front only to questions of ‘military blocs’ against the imperialists or the Warlords. Indeed such a position makes a non-Marxist division between ‘politics’ and ‘war’-“war is the continuation of politics by other means”. Yes of course the bourgeoisie, and petit-bourgeois forces, will demand that communists subordinate the demands of the workers, curtail their struggles, etc. That is precisely why such united fronts would be episodic “confined to practical aims”. And earlier, attacking groups “claiming to be Trotskyist which mistake the policy of temporary alliances with bourgeois national forces for a proper united front”. Since when has the united front been anything else than a “temporary alliance”? Since when has a united front been a “non-belligerence treaty”? If the GOR holds a position that the united front is a lasting political bloc in which the participants agree to sink their public differences, this would indeed -be a deeply opportunist interpretation of the united front. The real lessons Trotsky drew from the Chinese events was the applicability of the theory of Permanent Revolution to the colonial and semi-colonial world. While Trotsky denounced the opportunist application of the united front in China and called for the withdrawal of the CCP from the KMT, he did not differ with the Russian Party on the bourgeois nature of the coming revolution in China. He rightly characterised the Bukharin/Stalin approach to the Chinese! revolution as ‘right-Menshevik’ i.e. they believed that via the KMT the bourgeoisie, or at least an important section of it, would lead the revolution against the warlords and imperialists. The workers’ role was seen as aiding’ this struggle for a. bourgeois democratic China and therefore their own demands would have to wait, because if raised in the struggle it would ‘divide’ the anti imperialist movement. They recognised however that a victory for the KMT would mean an immediate shift to the right, an attack on the workers and peasants and a search for a compromise with the imperialists – unless the workers took the lead in the struggle. This meant fighting to build soviets which “alone will open up further prospects of a Revolutionary Democratic Dictatorship of the Proletariat and peasantry”.26 Thus within the Anti-Imperialist United Front the struggle revolved around holding the left-KMT to its democratic promises, mobilising the workers and peasants around democratic rather than socialist demands. By the Autumn of 1927, Trotsky had come to the conclusion that this perspective played into the hands of the bourgeois and petit-bourgeois forces as well as their Menshevik cheerleaders, and bore little relation, to the actual developments in the class struggle. As the workers took the lead in the struggle against the imperialist puppet government in ‘the towns, they were faced with the sabotage of the bourgeoisie, itself closely tied to imperialism and terrified of the workers’ actions. Of necessity in a situation of civil war this meant taking over the major industries and transport. In the countryside the procurement of food and satisfying the landless peasants meant the expropriation of the landlords and kulaks. The landholder as a rule was the urban bourgeoisie which meant the agrarian revolution itself took on an anti-bourgeois character in China. Trotsky came to the conclusion that: “The’ Chinese revolution at its new stage will win as a Dictatorship of the Proletariat or not at all” 27 The slogan of the “Democratic Dictatorship” had become a fiction, something that was impossible to achieve and which could only lead’ in the direction of Menshevism. It had become a “reactionary force” in the revolution, which needed to be replaced by the slogans of Soviet Power, the Workers and Peasants government, and the Dictatorship of the Proletariat. We believe the GOR are wrong to see the Anti-Imperialist United Front tactic as the progenitor of the Popular Front. We believe the culprit in reality was “the bloc of four classes”, ‘aiming to ‘carry out a separate independent, self-sufficient stage – the ‘national revolution’. A revolution with a bourgeois democratic character and whose governmental goal was a coalition between the bourgeoisie and the workers’ parties (with the stolen label of the democratic dictatorship of the proletariat and peasantry). This was a clear reversion to Menshevism. None. of this is present in the theses or deliberations of the Fourth Congress quite simply because the early CI was unclear as to governmental slogans and to the character of the anti-colonial/anti-imperialist struggle. They were clear enough that where a non-proletarian force was fighting imperialism and its local agents then the CP ‘had to support it. 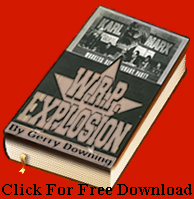 But .without the concept of a bourgeois revolution, within which the working class won for’ itself the leading role and which ‘grew over’ into toe, latter’s seizure of power supported by an alliance with the peasantry – that is, Permanent Revolution the CP had neither a clear perspective nor governmental slogans. This vacuum was filled by Stalin and Bukharin with a right-centrist and then a counterrevolutionary content in combat with this – on the battlefield of the Chinese Revolution – Trotsky reforged the theory of Permanent Revolution. Trotsky never used the term ‘Anti-Imperialist United Front’ again – perhaps because he felt it had been soiled by association with the bloc of four classes etc, but he certainly advocated the united front against imperialism – including with bourgeois forces (with the Kuomintang against Japanese imperialism). Like Trotsky we are keener to defend and use tactics rather than words. What we believe is necessary in countries oppressed and attacked by imperialism and its agents is a fighting bloc of all social forces and their parties willing and able to resist. This may be extremely episodic – for a single demonstration or a rally – or it may be a military bloc. Our position is that it is incorrect in non-imperialist countries to exclude the bourgeoisie on principle. Indeed where the bourgeoisie has mass influence amongst the oppressed classes (and where has it not?) refusal to offer the united front is to strengthen that influence not undermine it. Of course, nine tenths of the bourgeoisie for nine tenths of the time will be an agent of imperialism against its own people. But there is that section of the bourgeoisie that deludes the masses with anti-imperialist rhetoric. Here the united front, providing it fulfils all the conditions of the united front – a clear, precise and limited object of real struggle with no confusion of banners (marching separately and striking together) – can expose the bourgeois party and win over its mass base. This tactic is not qualitatively different from the united front that could be used in the case of an oppressed nationality (which also has a bourgeoisie). Of course in reality – in terms of united fronts actually struck by the working class and carried through – the essential classes are firstly the peasantry, secondly the oppressed urban classes (petit-bourgeoisie, sub-proletariat). These classes fight imperialism not just rarely and episodically like the national bourgeoisie or sections of it, but vigorously (and, under proletarian influence and leadership, consistently). Therefore from the outset an AIUF is actually aimed at winning them. After all these classes can be won to support a proletarian seizure of power. If what the GOR are wary of is the idea of the AIUF as a strategy in the way that the OCI tradition has used it, then we agree. It would be completely opportunist to present the AIUF as a constant fixed bloc of parties with constantly changing objectives, and even as an electoral bloc or prospective government. Here the reservation of places for the bourgeois parties and the limitation of its programme to ‘anti-imperialist’ measures (i.e. only hitting ‘foreign’ capital) converts this false AIUF into a genuine Popular Front.